Click here to get more local phone numbers to stores and businesses and some have web site links. Use the "buttons" below to move around the town to see pictures and phone numbers of many of the local establishments. Note: The Historical Museum is in the Sea Isle City Library building on the 1st floor. 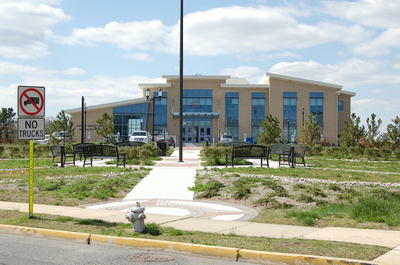 The Sea Isle City Library is in the same building on the 2nd Floor. There is an elevator.